Report blasts Coke and Big Food's "front groups"
Coca-Cola is fighting the rapid drop in soda sales by going beyond marketing and co-opting science. As the New York Times reported on Monday, the company is backing a new scientific research group centered on the idea that lack of exercise — not sweet beverages — is making people unhealthy. The Coke-supported Global Energy Balance Network is tied to several influential scientists, but the results of its studies run counter to the findings of independent health experts. The disconnect means that, while the group bills itself as an unbiased research entity, public-health critics call it nothing but a front group. But that’s just the tip of the iceberg. Coke is far from alone in quietly pushing junk science to reframe health issues and help win over consumers and regulators. Under pressure from the organic and clean-eating movement, Big Food is upping its game in this newest form of astroturfing: backing groups that look and sound like educational resources while supporting the goals of the corporations tht help the bills. Unlike astroturf groups of the past, these organizations don’t go to great lengths to hide their corporate connections. Most of them name their major backers right on their site. Instead, they trust that carefully crafted visuals and scientifically accredited spokespeople will dissuade the average consumer — or journalist — from looking too closely. Take a look at the Food Dialogue website, the online face of the US Farmers and Rancher Alliance. A photo of an upscale mom and daughter shopping for groceries sits next to the story of a pig famer who feeds his animals oregano and chili powder (it reduces the amount of antibiotics they require, apparently). There is an article about how pesticides affect honeybee populations, and an invitation to a panel discussion about environmental sustainability, GMO safety and animal welfare. The next panel on August 11 in Minneapolis will be moderated by Bloomberg reporter Alan Bjerga. The site says it’s devoted to giving agriculture a voice in enhancing consumers’ trust in food production. Last year, the USFRA funded "Farmland," a polished documentary on Netflix that profiles a group of young farmers. Ketchum PR helps the organization get its message out to city folks. But dig deeper into the site and you find that USFRA’s backers include giant corporations tied to industrialized farming, including biotech company Monsanto, known for its GMOs, pesticide maker Dow AgroSciences, ag pharmaceutical provider Merck Animal Health and food processor Cargill. About 28% of USFRA’s funding comes from these ag industry companies, said Randy Krotz, USFRA CEO, with the rest coming from farmers and ranchers who mostly use conventional farming practices. No organic farm groups are included among its membership. Environmental and organic food activists are crying foul. 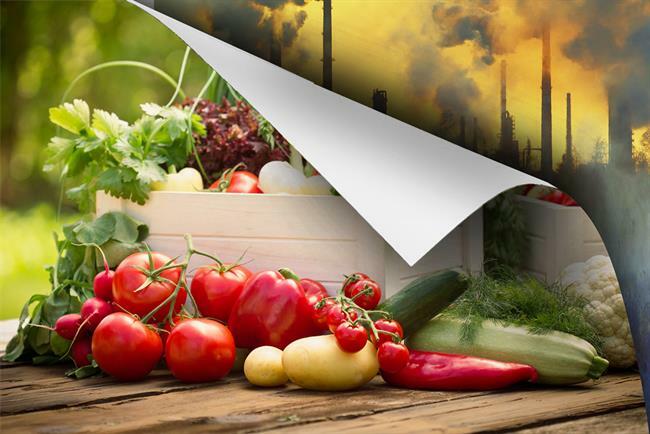 An in-depth study, "Spinning Food," labels the USFRA and similar outreach organizations as front groups for Big Food and agrochemical corporations. The report was released in July by Friends of the Earth, an international environmental organization founded in 1969. "These front groups craft a narrative about food that is intended to defuse public concern about the real risks of chemical-intensive industrial agriculture and undermine the public’s perceptions of the benefits of organic food and diversified, ecological agriculture systems," the report claims. USFRA programs try to boost consumer confidence in industrial agriculture and the products of its funders, says the report. Also, while USFRA’s panel series "Food Dialogues" are billed as balanced discussions with moderators from national news media, "they are really constructed to serve USFRA’s messaging goals," the report said. As for Coca-Cola’s research group, Kari Hamerschlag, senior program manager at Friends of the Earth, said, "Coca-Cola's effort to establish a well-funded front group and buy the credentials of scientists is a cookie-cutter example of how a food company spins the story of food and science to benefit its bottom line." The junk food industry, including Coke, is the new Big Tobacco, claims Stacy Malkan, co-author of the report. "They ignore the evidence, buy scientists and professors, and pour money into PR to convince people that it's not their fault that Americans are getting sicker." Big Food’s version of astroturfing — large industries mimicking grassroots groups to make their message more palatable to the public — has shifted in the era of Twitter and Facebook, with front groups’ generally revealing their backers, albeit in low-key ways. USFRA’s Krotz stated that that his group’s website clearly lists its commercial partners and that critics don’t understand the situation. "Our industry hasn’t brought consumers along in the last 60 years of improvements in broad-based faming and now we want to educate and inform them. But for some, it’s too late — [they] are polarized against us." But in this age of transparency, is any hint of astroturfing too risky? Brand experts are wary of the practice. "With deep and growing consumer skepticism about the motivations of big institutions, outreach must be transparent," said Nigel Hollis, chief global analyst at Millward Brown. "People will accept the fact that the food industry wants to put its case forward, but they will be far less forgiving if it does so under the guise of ‘independent’ third parties," he said. Another major player among the Big Food outreach groups is the International Food Information Council. The IFIC Foundation’s "Food Insight" website and newsletter is dedicated to "communicating science-based information on health, nutrition and food safety for the public good." 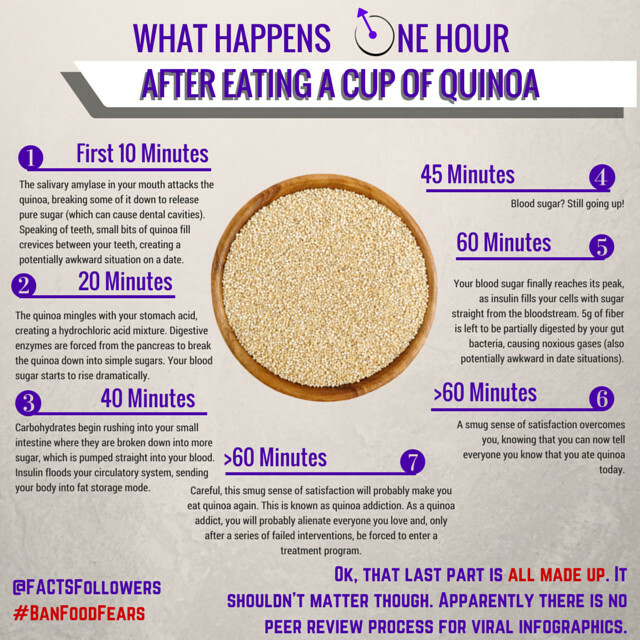 It talks about the role of pesticides in food production and the benefits of low-calorie sweeteners, and it makes fun of a recent viral infographic about the dangers of drinking cola with a similar graphic about eating quinoa. Registered dietitian nutritionist and author Bonnie Taub-Dix, who writes for MSNBC.com and Today.com and regularly appears as a guest on national TV news shows, collaborated with IFIC on a United Nations presentation about obesity and often refers to IFIC surveys in her articles. However, she she said she didn't know that IFIC’s supporters include Monsanto; pesticide suppliers Bayer CropSciences and Dow AgroSciences; and food processors Cargill and Archer Daniels Midland. Trustees of the IFIC Foundation include executives from Coca-Cola, McDonald’s, Dannon and Mars. "We take pride in the accuracy of our science-based white papers, Q&As, consumer brochures and fact sheets," said David B. Schmidt, CEO of IFIC. "Many of our surveys are cited in prominent peer-reviewed journals." Do industry supporters have input in those IFIC surveys? "IFIC members and Foundation trustees have an opportunity to suggest questions or wording to help ensure our surveys are of the highest quality," he responded. Ironically, brand strategy experts question the wisdom of Big Food using any kind of educational outreach to counter the organic, antibiotic-free and "clean eating" trends. "The broad population is not interested in science and surveys about what they eat, so the scientific debate about food is lost on them," said Ely Trevino, partner at brand consultancy Prophet. "You can’t educate people into liking your industry. No matter whether they are covert or open about it, for the conventional ag and food companies to plead their case by talking about pesticides and additives is hard," he said. "Talking about great products that are available and affordable to all Americans will get the industry much further faster." Millward Brown’s Hollis concurred. "The food industry is on the back foot. A better strategy might be to demonstrate what life would be like without all things produced by large-scale agriculture and food processors," he said. And on some level, the next step is to change their food formulations, which Pepsi is doing with its ban on aspartame from Diet Pepsi in the US. "Sometimes you just have to swim with the current rather than try to fight it," Hollis said. Is the 'quantified self' phenomenon affecting brands like Coke and Pepsi?